The vast majority of the continent’s populations living in the rural areas also lives in extreme poverty. The enhancement of sustainable agricultural and rural development is therefore fundamental to the attainment of the Millennium Development Goals (MDGs) in Africa, particularly the eradication of hunger and poverty. 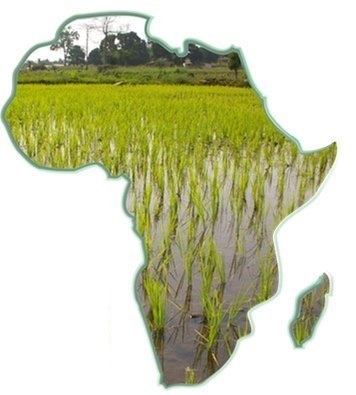 Africa is endowed with a wide diversity of agro-ecological zones. These zones range from the heavy rain-forest vegetation with bi-annual rainfall to relatively sparse, dry and arid vegetation with low uni-modal rainfall. This diversity is a tremendous asset, but it also poses a substantial challenge for African agricultural development. Under conditions of rapid human population growth, rural households have been forced to adopt agricultural practices that guarantee their survival. Unfortunately, raising the productivity of crop enterprises through intensification per unit of land cultivated -- i.e., through increasing crop yields per hectare - has not been adequately promoted as an important household food security strategy. Apart from commercial agriculture which covers a relatively small share of crop production, the use of agricultural inputs - that is, improved seeds, inorganic fertilizers, insecticides and pesticides -- has been much lower in Africa than in other parts of the developing world. Inorganic fertilizer use is often less than ten kilograms of nutrients per hectare. Use of agro-chemicals and/or integrated pest management techniques to deal with plant diseases and pests is still largely confined to export crops. Continuous expansion of crop cultivation has been done at the expense of the natural resources. One consequence has been the accelerated destruction of forest resources by land clearing and over-exploitation for fuel-wood and other household uses. Another, more subtle effect, has been the deterioration of livestock farming as larger and larger areas formerly allocated for dry season grazing are put under the hoe and plough. Over-exploitation of fisheries resources has been a serious problem where common resources are exploited for private gain. Lack of adequate regulatory provisions and, where present, their ineffective enforcement have resulted in catch declines and have severely challenged prospects for adequate stock replenishment in the future.